Reformers who rock the boat, who become unpopular, who disturb the social balance, who hurt religious sentiments, who turn their back on majority opinion, who think rationally—all these reformers face the inevitable consequences of their actions. Every reformer has had to face these challenges. This is because social reform—by definition rooting out any evil social custom—means taking on the persistent social beliefs of the majority. वरम् जनहितम् ध्येयं केवलं ना जनस्तुति:! (It is best to think only of the welfare of people, not praise them). Vinayak Damodar Savarkar is a hero that stands tall in History. A Nationalist, a rationalist, a humanist, a leader, a poet – Savarkar’s contribution to all he touched is immense. The life of Veer Savarkar continues to inspire countless people even today. Self-sacrifice and devotion to duty are the outstanding qualities that stand out throughout his life. Born on 28th May 1883 in Bhagur, a tiny village in District Nasik, Maharashtra, lost his mother at the age of 9. When he was 15 he also lost his father Sri Damodar Pant in 1898. India won her freedom from British rule due to the combined efforts of patriots of all persuasions. These included the armed revolutionaries, moderate and radical leaders as well as those who led mass movements. Veer Savarkar has been hailed as the ‘prince of revolutionaries’. It was Savarkar’s contention that freedom cannot be won by pleas and petitions. Savarkar proclaimed that absolute political independence was his goal and incessant armed revolution was the means to achieve that goal. Savarkar inspired generations of revolutionaries both in India and abroad. He is credited with placing the case for India’s freedom on the international scene. PART – 1: SAVARKAR THE HUMANIST !! 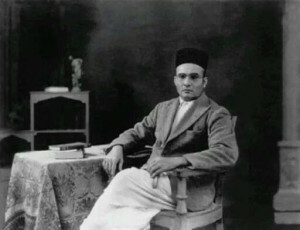 Savarkar was an illustrious social reformer. He firmly believed that political and social reforms are equally important and complementary to each other. During his time, many self-imposed shackles and superstitions had weakened Hindu society. Through his speeches, writings, and actions, Savarkar launched a sustained campaign of social reform. His commitment to social reform was lifelong. Savarkar’s social thought stemmed from his humanism. He championed social reform even amongst followers of other religions. Savarkar believed that eating and drinking pattern has many myths and he started speaking loudly about it. What to eat and drink is a medical issue, not a religious one. One may eat and drink as per individual preference and digestive capacity under specific circumstances. There is no harm in eating what is medically permissible with any medically fit individual, not in a common plate but as a common meal. Be it a Hindu or a Muslim or a Christian, eating and drinking with anyone destroys neither caste nor religion. In 1906, in a lodging house for Indian students in Highgate, London, when young lawyer M K Gandhi dropped in to see a younger law student Vinayak Savarkar, who happened to be frying prawns at the time. Savarkar offered Gandhi some of his meal; Gandhi, a vegetarian, refused. Savarkar allegedly retorted that only a fool would attempt to resist the British without being fortified by animal protein. That was Savarkar, clear-headed. Inter-caste marriage was one another cause he worked on. Breaking the prohibition of intermarriage does not imply forcibly marrying off girls of one caste into another caste. What it means is that if a Hindu with desirable qualities such as love, character, and capacity chose a spouse from another caste, then such an alliance should not be condemned simply because their castes are different. Such a couple should not be considered as unworthy of cohabitation. Permission for such mixed marriages is extremely desirable not only for the removal of birth-based caste distinction but also for the success of the re-conversion movement. Then his focus was caste discrimination. Just as there was a regulation in the past that at least one Brahmin should dine in a Ganesh Chaturthi meal, there should now be a regulation that at least one Chamar-Mahar-Bhangi brother should dine in the Ganeshotsav meal. “Oh, organizer of Hindus! Rise and irrespective whether others do it or not, take a pledge at this very instant that I shall use the hand with which I touch my cat and dog to touch my untouchable brother in dharma, failing which I shall go hungry. Say, I will touch! And by publicly touching some untouchable brother, show the world that as far as you are concerned, you have acquired the boon of freeing the Hindu race from the sin of untouchability! Savarkar was a strong opponent of the caste system. He repeatedly argued that what the religious books say about untouchability is irrelevant. The social practice was unfit for a modern society. In his collection of essays on breaking the caste system, he welcomed the constitutional provision that made untouchability a crime. PART – 2: SAVARKAR THE RATIONALIST !! Rationalism was an abiding guiding principle in Savarkar’s life. Though he did not start any rationalist movement as such, his thoughts and actions were invariably dictated by reason, scientific temper, utilitarianism and human welfare. It is not surprising that Savarkar’s thoughts and teachings were shocking to contemporary society. It is precisely these thoughts and teachings that serve as a beacon to society even today. Savarkar’s relevance remains intact even decades after he has passed away. Truly, his entire life is a lesson in rationalism. Like the English word ‘law’, the word ‘dharma’ has taken on different connotations. Its original wider meaning is ‘law’. The dharma of any object upholds its existence and regulates its behavior. It is in this sense that we refer to the dharma of nature, the dharma of water, the dharma of fire and so on. This wider meaning led to the use of the term while describing the laws governing other-worldly objects, irrespective of whether these laws were verifiable or not! The term ‘dharma’ gradually encompassed the mutual relation between Heaven, hell, reincarnation, god, individual (soul), creation and the like. In fact, the word ‘dharma’ soon came to be almost exclusively used in its other-worldly connotation. The actions of human beings in this world were thought to affect his existence in the hereafter. So ‘dharma’ came to also mean that which upheld his life in the hereafter. In the past, the rules that governed worldly relations between individuals and nations were also termed ‘dharma’. This is clear from terms such as Dharma of War or ‘Yuddha Dharma, Dharma of Governance or Raj Dharma, Dharma of the conduct, or ‘Vyavahar Dharma’ and the like. Those laws of nature that have been experimentally vindicated and have stood the test of time verily constitute ‘Sanatana Dharma”. Actions are necessarily mortal and time-bound for they are by and for humans. Hence, Sanatan Dharma will not die even if the entire corpus of rituals, what to speak of caste distinctions, is changed. It is beyond the power of the human race what to speak of a handful of reformers, to destroy Sanatana Dharma. It is Doubtful, even if it is within the power of God to do so! A close scrutiny of the Vedas as well as the Muslim Quran, the Christian Bible and the Jewish Old Testament and the Book of Moses makes it clear that the so-called divinely written or sent religious scriptures are man-made. No doubt, these scriptures have unprecedented historical and literary value. It is also admissible that these scriptures are a treasure house of words, worthy of respect and deep study…But they are not literally true. What does not stand the test of scientific reason ought to be verily discarded even if it appears in Vedas, Avesta, Quran, Bible, Book of Moses and the like. It is incorrect to think that everything that is ancient, is necessarily sacred and worthy of worship. “It was 200 years ago there were fears that humanity would lose its essence in the machine age, religion would be undermined, humans would begin to act like machines, our bodies would shrivel and the prosperity that was promised with the use of machines would itself be destroyed. Such shrill warnings were spread across Europe by a class that stuck to tradition and religious naiveté. The reason machines are not more widely used by our people is because of the religious beliefs in our society. Europe too did not accept machines 200 years ago because of the power of Christian religious beliefs. There was a massive earthquake in Lisbon in the 18th century. The religious leaders of Europe preached to the people that the earthquake was the result of the Protestant perfidy against the religious beliefs of the Roman Catholics. It was a punishment because Protestant marriage ceremonies were led by women, Protestant priests were allowed to marry, the words of the Pope are not considered infallible. It was in reaction to these reasons that the people decided to protect themselves against future earthquakes by trying to finish off the Protestants. Such naive people were incapable of even understanding that there were physical explanations for earthquakes, let alone trying to use seismology to design machines that could perhaps help them predict the risk of an earthquake. Europe could truly embrace the machine age only when its religious beliefs were demolished by the scientific approach. But in India, even someone as influential as Gandhiji swears by his “inner voice” to say that the Bihar earthquake is a punishment for the caste system. And that he is still waiting for his inner voice to tell him why Quetta was rocked by an earthquake. And then there are Shankaracharya and other religious leaders who swear by the religious books that the earthquake was caused by attempts to do away with the caste system. These remarks by Veer Savarkar are a stinging answer to the contempt with which Mahatma Gandhi has spoken about movies. PART – 3: SAVARKAR THE NATIONALIST !! As early as 1898, at the age of 15 Savarkar took an oath before the family deity to conduct armed revolt against British Rule. Savarkar played a significant role in putting forth the case for India’s independence on the international scene. He fearlessly went to the enemy camp and carried out his revolutionary activities in the heart of the British Empire. Barrister Sardarsingh Rana had announced three traveling fellowships, Savarkar received the Shivaji fellowship on the recommendation of Lokmanya Tilak. Tilak also paid the first installment of Rs. 400. Finally Savarkar reached London on 24 June 1906. *To observe at first hand, the strengths of the British people which enabled them to rule over India and also to note their weaknesses and to think of ways of using them to achieve India’s freedom. *To meet students from all parts of India. Such meetings were much more easier in London than in India. People back home looked to these men with admiration and expected direction and leadership from them. *To kindle the spirit of fighting among these youth for Indian independence. *To meet professionals, Rajas, merchants and rich people, who came to London and possibly, also visited Europe. Savarkar sought their assistance in the freedom struggle too. *To establish contacts with revolutionaries of other countries like Russia, China, Ireland, Turkey, Egypt and Iran. He wanted to learn and put that knowledge and friendship into use for concerted attempts to overthrow the British rule. He also wanted to know bomb makings and smuggle pistols and ammunition into India. *Savarkar organized the days of the remembrance of national heroes such as the birthday of Shivaji and celebrations of festivals like Diwali and Dashahara. He also celebrated the golden jubilee of the 1857 War of Independence against the British in India House. *Savarkar had started his secret revolutionary society called the Abhinav Bharat, similar to Young Italy of Mazzini. Savarkar carried on the activities of the Abhinav Bharat while in London. Copies of bomb manual were printed in India House in London. One copy reached Lokmanya Tilak in Pune. *Savarkar completed his biography of Mazzini in Marathi in September 1906. His elder brother Babarao published it in India in June 1907. He wrote his famous book Indian War of Independence 1857 in Marathi. His friends in India House translated it into English. It was published secretly in Holland in 1909 and immediately banned in India. Savarkar’s book served as a source of inspiration to Indian revolutionaries for next 40 years. This is a dedication to the Martyrs of 1857 which was written by Savarkar on the occasion of the fiftieth anniversary of the ‘Indian War of Independence 1857’. It was then published under the title ‘Oh Martyrs’ and circulated on the 10 May 1908 at the time of the Golden Jubilee ceremony which was celebrated in England on a grand scale. Savarkar finally decided to return to London in spite of the misgivings of his associates. He was fully aware of the Fugitive Offenders’ Act that had been slapped on him. Coming to London was an act of uncommon bravery! He was promptly arrested at the station itself after a brief struggle. In the final days of freedom, Savarkar wrote letters to a close friend planning his escape. Knowing that he would most likely be shipped to India, Savarkar asked his friend to keep track of which ship and route he would be taken through. When the ship S.S. Morea reached the port of Marseille on 8 July 1910, Savarkar escaped from his cell through a porthole and dived into the water, swimming to the shore in the hope that his friend would be there to receive him in a car. But his friend was late in arriving, and the alarm having been raised, Savarkar was re-arrested. Savarkar’s arrest at Marseilles caused the French government to protest to the British, arguing that the British could only recover Savarkar if they took appropriate legal proceedings for his rendition. The case excited much controversy as was reported by the New York Times, and it considered it involved an interesting international question of the right of asylum. Arriving in Bombay, Savarkar was taken to the Yervada Central Jail in Pune. Following a trial, he was sentenced to 50 years imprisonment and transported on 4 July 1911 to the infamous Cellular Jail in the Andaman and Nicobar Islands. His fellow captives included many political prisoners and he also was united with his brother Ganesh. Prisoners were subject to frequent mistreatment and torture. Contact with the outside world and home was restricted to the writing and mailing of one letter a year. Obtaining permission to start a rudimentary jail library, Savarkar would also teach some fellow convicts to read and write. In 1920, the Indian National Congress and leaders such as Mahatma Gandhi, Vitthalbhai Patel, and Bal Gangadhar Tilak demanded his unconditional release. Savarkar signed a statement endorsing his trial, verdict and British law, and renouncing violence, a bargain for freedom. When M K Gandhi met Savarkar in London, the meeting is said to have begun hostilities between the two young Indian nationalists; whether or not the story is apocryphal, there were real reasons for antipathy. The two men had very different approaches to the struggle against Britain. He was a fiercely outspoken critic of Gandhi, still India’s top national hero: he called Gandhi weak, a “sissy” and far too willing to collaborate with Britain. Gandhi, who became the leader of the Indian National Congress (INC) which made it a more credible interlocutor with the colonial authorities, and over the years eclipsed his rival. Perhaps, because Gandhi suited British cause more than Tilak and Savarkar. Gandhian talk of man’s common humanity he regarded as utopian to the point of naivety. In articles from the 1920s to the 1940s, Savarkar lambasted Gandhi as a “crazy lunatic” who “happens to babble about compassion and forgiveness, yet, notwithstanding his sublime and broad heart, the Mahatma has a very narrow and immature head.” Gandhi promoted ahimsa, a Buddhist rejection of violence which Savarkar called “mealy-mouthed”. He said Gandhi was a hypocrite for supporting violence by the British against Germany in the first world war. Nor did he cheer Gandhi’s prominent backing for the Ottoman Caliphate Movement, designed to win Indian Muslims to oppose British colonial rule. “Just as it is my duty to repeatedly tell the Hindu nation to abandon its silly religious customs, observances, and opinions in this age of science, so I will also tell Muslim society, which is an inevitable part of the Hindustani nation, that it should abandon as quickly as possible its troublesome habits as well as religious fanaticism for its own good—not as a favour to the Hindus, not because the Hindus are scared of your religious aggression, but because these practices are a blot on your humanity, and especially because you will be crushed in the age of science if you cling on to an outdated culture. Oh, Muslims, just think what the Europeans reduced you to after they escaped from the clutches of the Bible, to master the sciences that are beneficial for our times. You were pushed out of Spain, you were subjected to massacres, you were crushed in Austria, Hungary, Serbia, and Bulgaria. Your control over Mughal India was snatched away. They are ruling you in Arabia, Mesopotamia, Iraq, and Syria. Just as the Maulvis sent armies to war in the belief that the men who fought under the banner of Allah would never lose, so did our Pundits peacefully sit back to repeat the name of Rama a million times. But none of this prevented the Europeans, with their advanced weapons; they not only decimated the Muslim armies, but they even toyed with the fallen flag of Allah. The leader of Hindu Mahasabha !! Savarkar moved to Mumbai and was elected president of the Hindu Mahasabha in 1937, and would serve until 1943. When the Congress launched the ‘Quit India’ movement in 1942, Savarkar criticized it and asked Hindus to stay active in the war effort and not disobey the government, he urged the Hindus to enlist in the armed forces to learn the “arts of war”. 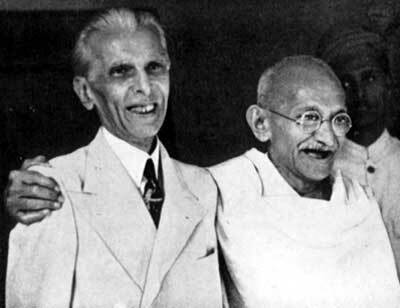 Hindu Mahasabha activists protested Gandhi’s initiative to hold talks with Jinnah in 1944, which Savarkar denounced as “Appeasement”. He assailed the British proposals for transfer of power, attacking both the Congress and the British for making concessions to Muslim separatists. Soon after Independence, Dr. Shyama Prasad Mookerjee resigned as Vice-President of the Hindu Mahasabha dissociating himself from its “Akhand Hindustan’ plank, which implied undoing partition. Mr. Savarkar insisted that, although there are two nations in India, India shall not be divided into two parts, one for Muslims and the other for the Hindus; that the two nations shall dwell in one country and shall live under the mantle of one single constitution. In his presidential address to the annual session of the Hindu Mahasabha held in Calcutta in 1939, Savarkar spoke about how Hindus and Muslims could bury their historical differences in a common Hindustani constitutional state. “The National Constitution of Hindustan: The Hindu Sanghanists Party aims to base the future constitution of Hindustan on the broad principle that all citizens should have equal rights and obligations irrespective of caste or creed, race or religion, provided they avow and owe an exclusive and devoted allegiance to the Hindustani State. The fundamental rights of liberty of speech, liberty of conscience, of worship, of association, etc., will be enjoyed by all citizens alike. Whatever restrictions will be imposed on them in the interest of the public peace and order of National emergency will not be based on any religious or racial considerations alone but on common National grounds. No attitude can be more National even in the territorial sense than this and it is this attitude in general which is expressed in substance by the formula ‘one man one vote’. This will make it clear that the conception of a Hindu Nation is in no way inconsistent with the development of a common Indian Nation, a united Hindustani State in which all sects and sections, races and religions, castes and creeds, Hindus, Muslims, Christians, Anglo-Indians, etc., could be harmoniously welded together into a political State on terms of perfect equality. In 1952, Savarkar went to Pune to announce the closure of Abhinav Bharat, the revolutionary outfit that he had set up as a student to fight for independence. In a public speech, he said that revolutionary organizations have no place in a constitutional state, echoing the views of his friend B.R. Ambedkar. After Gandhi’s assassination, Savarkar’s home in Mumbai was stoned by angry mobs. After he was acquitted of the allegations related to Gandhi’s assassination and released from jail. “It was a fanatical wing of the Hindu Mahasabha [and NOT RSS] DIRECTLY under SAVARKAR that [hatched] the conspiracy and saw it through.” – Sardar Patel. Savarkar was arrested by Congress Government, for making ‘militant Hindu nationalist speeches.’ He was released after agreeing to give up political activities. In 1964, new evidence emerged in the form of Ketkar’s (Tarun Bharat Ed) admission that he knew of the conspiracy to murder Gandhi in 1947. From the JL Kapur Commission Report, 1969, on the CONSPIRACY TO MURDER MAHATMA GANDHI. The above reports and communications do indicate a conspiracy of Savarkar’s involvement or at least patronage in the Gandhi’s murder, but there are no hard pieces of evidence yet in the public domain. Savarkar was acquitted because the approver’s statement, that Savarkar blessed Godse & Apte with “Yashasvi houn ya” couldn’t be corroborated. But Court never called Savarkar’s bodyguard & secretary as witnesses who would/wouldn’t have contradicted Savarkar’s testimony. He continued addressing social and cultural elements of Hindutva. It was forbidden for Congress Party members to participate in public functions honoring Savarkar. Nehru refused to share the stage during the centenary celebrations of the “India’s First War of Independence” held in Delhi. After the death of Nehru, the Congress government, under Prime Minister Lal Bahadur Shashtri started to pay him a monthly pension. On 1 February 1966, Savarkar renounced medicines, food, and water which he termed as ‘Atmaarpan’ (fast until death). Some suggest that after Commission to look afresh into the assassination of Gandhi was set up, Savarkar undertook fast unto death and died. Before his death, he had written an article titled “Atmahatya Nahi Atmaarpan” in which he argued that when one’s life mission is over and ability to serve the society is left no more, it is better to end the life at will rather than waiting for death. He died on 26 February 1966 at the age of 83. Today we witness COMPLETE AIRBRUSHING of Savarkar’s profile in our concocted history. One side selectively presents facts to hero-worship him, the other side ignored his gigantic contribution as part of a vicious propaganda to vilify him. No objectivity. As a result, we never get to know the real man. There is much more what is missing from our textbooks. Much more and much important for the nation than his possible complicity in Gandhi’s assassination. The strand of thought that Savarkar represented is more important than is generally recognized. Since history belongs to the victors, the story of India’s independence movement became one of non-violence. India’s first prime minister, Jawaharlal Nehru, and then the Congress party (successor to the INC) promoted a pacifist narrative of history, the idea that Gandhi triumphed through non-violent resistance. That meant downplaying the bloodshed of 1857, in which atrocities were perpetrated by both sides, and also the roles of Savarkar, Ambedkar, Bose, and Tilak. Savarkar’s profile in our concocted history is lower but rising. The man largely unknown to the masses because of the vicious propaganda against him (to misunderstanding around him) has been created over several decades. But there are signs that the way the story of Indian independence is told is beginning to change. blog every every now and then that isn’t similar with several other materials. Superb article! I’ve saved your website and I’m including your RSS feeds to my Google account. This internet site is my aspiration, really fantastic style and Perfect written content. Everyone knows that working with webinar technology presents challenges and opportunities in equal measure. in which you are saying it. You’re making it enjoyable and you continue to take care of to keep it wise. Thank you. Your kind words made my day.